Grant Halverson/Getty ImagesPanthers running back Christian McCaffrey had to jump to action over the weekend after witnessing a hiking accident. 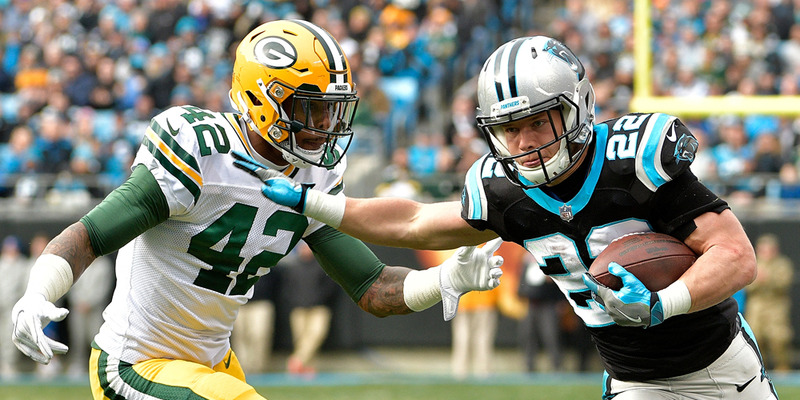 Panthers running back Christian McCaffrey had to spring to action after witnessing a terrifying injury while hiking in Colorado. McCaffrey and his group saw 72-year-old Dan Smoker Sr. fall close to 20 feet onto a rock, and quickly got to work calling 911, stabilizing Smoker, and comforting Smoker’s grandson Eli through the experience. Dan Smoker Jr. would later credit McCaffrey and his friends for saving his father’s life, and helping his son get through an extremely difficult time. Christian McCaffrey was hiking with his brothers and some friends over the weekend in Denver, Colorado when the Panthers running back and his party had to spring to action to help save the life of a fellow outdoorsman. McCaffrey and his group witnessed 72-year-old Dan Smoker Sr. fall close to 20 feet or so onto a rock. But the group jumped to action – McCaffrey called 911 to get help to the situation, and MaCaffrey’s friends worked to stabilise Smoker’s position and even performing chest compressions when he stopped breathing. Others stayed with Smoker’s grandson Eli, who was accompanying him on the hike. Smoker was taken to the hospital and still alive, despite a running list of injuries including a broken femur, a broken pelvis, internal bleeding, bleeding on the brain, nine fractured ribs and a broken neck. As of Tuesday evening, he was in critical but stable condition. Smoker’s son, Dan Jr, credited the group for saving his father’s life, and helping to comfort his son through the emotionally traumatic. McCaffrey and his friends were sure to check back in with Smoker and his family once he had checked into the hospital.